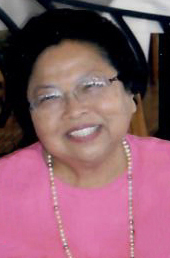 Edna Nagata, a devoted wife, loving mother and caring friend, passed away peacefully at her home on August 16, 2018 at the age of 81. Edna was born in Los Animas, Colorado, moved to California at an early age and graduated from Watsonville High School. She met her future husband (the late Yukio Nagata) at a Westview Presbyterian Church gathering; they were married in 1955 and moved to Watsonville shortly thereafter where they raised their two daughters. Edna worked at Wells Fargo Bank and later at Salinas Valley Savings and Loan (which eventually became Great Western Savings) and worked with the banking institution for 35 years. Edna also obtained her Real Estate License and helped prospective homeowners find residences in Santa Cruz County. Edna was a faithful member of Westview Presbyterian Church, directing the church’s mission giving. Edna was also instrumental in obtaining contributions for the Second Harvest Food Bank and was an advocate for sponsoring children through Compassion International. She was also an active member of the Watsonville-Santa Cruz JACL Senior Center. One of her passions was traveling to other countries but was especially fond of Hawaii. Edna was also an avid San Francisco Giants fan and loved going to movies. Edna did her best to overcome obstacles that came her way to live her life to the fullest, with a sense of joy, gratitude and purpose. She will be dearly missed by her beloved family and friends. Edna is survived by her sisters Dorothy Sakurada (Masami) and Floy Sakata; daughters Lynne Nagata (Enrique Luevano) of Watsonville and Leslie Nagata-Garcia (Patrick) of Hollister. Edna was preceded in death by her husband Yukio Nagata; brothers William Yamada, Julius Yamada and George Yamada; sister Lily Sakata. Private family graveside services will be held at a later date. Mehl’s Colonial Chapel was entrusted with the arrangements. If you would like to make a donation in memory of Edna, you may send it to Westview Presbyterian Church or your favorite charity.